When going through all the universities and colleges Canada has to offer, there are a ton of viable options to attain a respectable and fulfilling degree in Animation, or related to Animation. Choosing the right university for you is essential in making sure that you get the most out of the next few years of your life. 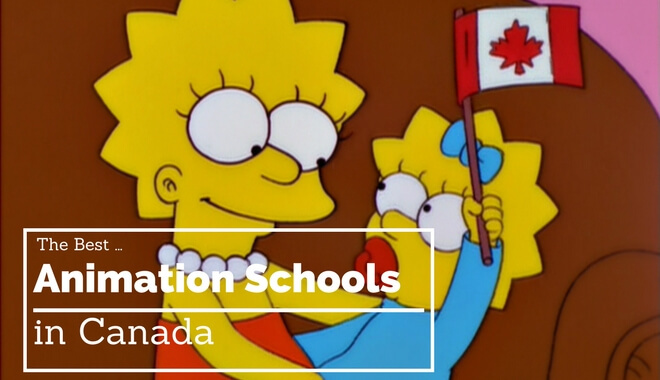 Here are the top schools with animation related degrees in Canada. Max the Mutt is one of the more unique universities that you will find in Canada. The curriculum emphasizes the community aspect of the university, with professors and instructors from various fields combining to teach several programs. The Bachelor of Arts in Classical and Computer Animation is based on a curriculum designed to incorporate Disney and Warner Bros. professional guidelines in animation. Students will learn how to use industry-standard animation software, such as Maya, Toon Boom, and Flash. The Bachelor of Arts in Animation program offered by Sheridan College in Oakville, Ontario is a 4-year course with a very heavy workload. Sheridan College is famous for its animation degree, and was previously known as the Harvard equivalent to animation institutions. The intensive 4-year program instills students with the full confidence and ability to become part of the highest echelons of the animation industry, with graduates from the university going on to work for companies such as Electronic Arts, DreamWorks, Walt Disney, Lucas Films, Pixar, Studio B, Cookie Jar, and many other top studios. The Visual College of Art and Design of Vancouver, also known as VCAD, is famous in Canada for being a top artistic and creatively inclined school, with creative roots that go back several decades. VCAD programs incorporate teachings from all creative walks of life, developing a holistic education for all students. Every course includes classes on animation disciplines, interior design, graphic, and fashion. At VCAD, students can expect to be trained and specialized in the various industry-standard tools, technology, and techniques required to succeed in the animation industry. The concentration in 3D modeling animation allows students to understand the nuances of 3D modeling, in both video game and film animation. Capilano University has an impressive track record of developing students who move on to work in large companies in the animation and film industry, including Radical Entertainment, Big Sandwich Games, 20th Century Fox, Nerd Corps, Aardman Animation, Mainframe Entertainment, Electronic Arts, and more. Capilano University consistently produces students who go on to be the best in their fields through a curriculum that allows students to focus on specialized chosen niches, including character rigging, technical direction, texturing and lighting, character and environment modeling, character animation, and concept art. By focusing on specific skills, students become highly specialized in their area and can regularly beat out their competition for positions in highly-rated companies. The Animation program offered at Seneca College’s Animation Arts Centre allows students to specialize in Gaming and Visual Effects, Film and TV, Digital Animation, or Animation Arts. The emphasis of the curriculum is in teaching students about storytelling, theories of motion, and timing, turning them into industry-ready graduates. Students will learn how to use traditional animation theories alongside contemporary animation problems, producing animation with the latest software and technology that incorporates storytelling and technique. Students are trained to create believable characters in realistic stories that can be used in film, television, web and video games. They will also be taught 3D computer-based modeling and animation. The college provides post-diploma programs in Animation as well. Students in the Animation program at VanArts, Vancouver Institute of Media Arts, are allowed to focus on the specific skills they want to break into their preferred positions and industry. Faculty and professors who will guide and mentor the students are past and current professionals in the animation industry, working for popular animation studios such as Walt Disney Animation Studios, DreamWorks Animation, and Light and Magic. Students are taught in 3D stream and Maya, and learn the foundations of animated character design. The Art Institute of Vancouver has alumni that is heavily involved in the film and animation industry of Vancouver, making it the perfect school to attend for students looking to break into the industry as soon as they graduate. The Animation Art and Design degree also incorporates 3D Modeling for Animation and Games, allowing students to begin a career in the visual effects, animation, and game industries. The Vancouver Film School gives students interested in animation two different concentrations: classical animation or 3D animation. Both courses overlap in some areas, but 3D animation tends to focus on newer technology and software, where the classical animation concentration allows students to attain a more holistic understanding of animation. At the Vancouver Film School, one of the main selling points of their Animation program is that they force students to learn three to four years’ worth of education in a single year. Students will walk away from the program with a strong portfolio that has helped alumni from the school secure strong positions in animation companies such as EA, DreamWorks, EMI, Paramount, Pixar, and ILM. Students will learn skills in game design, character animation, and filmmaking. The Emily Carr University of Art and Design stands out for creating an exciting and stimulating environment for its students learning media, design, and visual arts. They heavily emphasize the flexibility of their curriculum, revising it almost yearly to create the most updated and relevant educational experience. The Animation degree allows students to explore a variety of choices and concentrations. Every university and college has their own pros, cons, and special quirks, but regardless of where you end up earning your degree in Animation, remember that it’s what you do with it that matters most. Any education and university experience can be worthwhile, as long as you put your whole heart into it.